Nicholas Pearson has been immersed in all aspects of the mineral kingdom for more than 20 years. 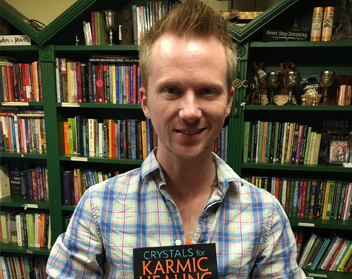 He began teaching crystal workshops in high school, later studying mineral science at Stetson University while pursuing a degree in music. He worked for several years at the Gillespie Museum, home to the largest mineral collection in the southern United States. A certified teacher and practitioner of Usui Reiki Ryoho, he teaches crystal and Reiki classes throughout the United States. He lives in Orlando, Florida.